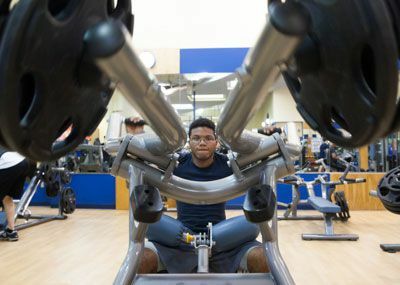 At Christopher Newport it’s easy to stay active with programs and facilities to match every fitness level. With modern fitness equipment in the Trieshmann Health and Fitness Pavilion, it’s a great place to work out. We also offer dozens of fitness classes, such as cycling, Pilates, body sculpt, yoga and Zumba.